Toys For Tots | Cummings Moving Co.
What kind of toy will you donate? The holidays are quickly approaching and Cummings Moving Company is continuing the tradition of giving back to the community this season with our Toys For Tots holiday toy drive. What is Toys For Tots? Toys For Tots was founded in 1995. According to the organization’s website, “The mission of the U. S. Marine Corps Reserve Toys for Tots Program is to collect new, unwrapped toys during October, November and December each year, and distribute those toys as Christmas gifts to less fortunate children in the community in which the campaign is conducted.” The organization aims to bring a message of hope to underprivileged children in hopes of aiding in the development of ambitious, caring and patriotic citizens. What kinds of toys can I donate? New and unwrapped toys are always accepted. Please understand that any toys that realistically resemble weapons will not typically be accepted and will not be distributed. Furthermore, toys containing food products are discouraged. Where & when can I drop off toys? 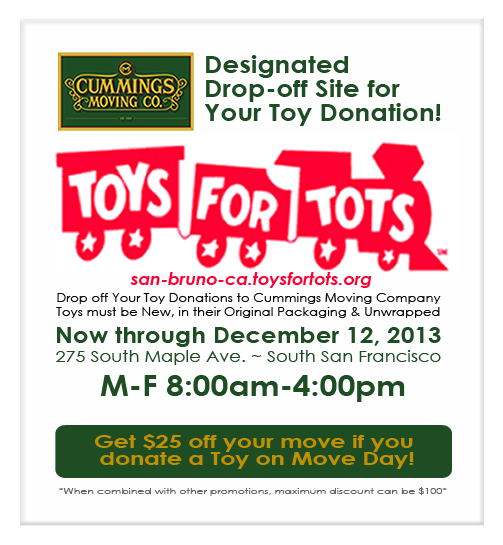 Cummings Moving Company is proud to serve as a toy drive drop off location for the Toys For Tots organization this year. 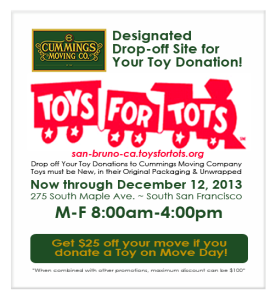 Feel free to drop off your donation of new and unwrapped toys at Cummings Moving Company Monday through Friday between the hours of 8am and 4pm. At the close of business on December 12th, 2013, we box up the toys and send them on their merry way! 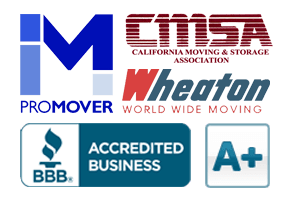 Cummings Moving Company wishes everyone a safe and happy start to their Holiday Season, and look forward to seeing you when you come by to drop off your toy! See you soon! Hi Amy, Your team did an EXCELLENT job of moving my mom. They were on-time, professional, worked quietly and quickly and did a thorough job. I was very impressed and would not hesitate using your services again. Thanks so much!